Not much to say about this odd postcard. It does feature several park icons, including the Sorcerer’s Hat and the Epcot Wand that are no longer with us. 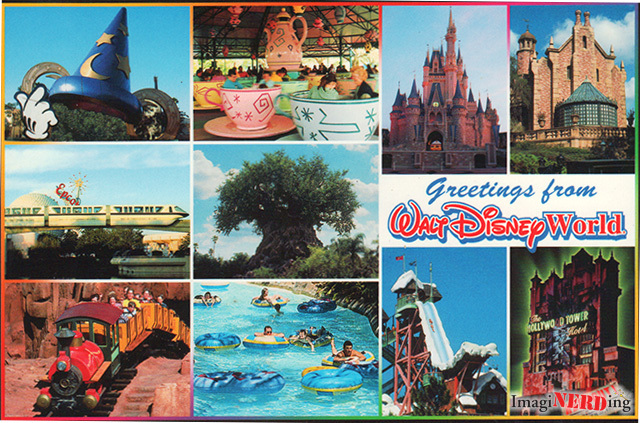 The rest of the information on the back of the postcard is the telephone number for Walt Disney World reservations and the website. Very odd.